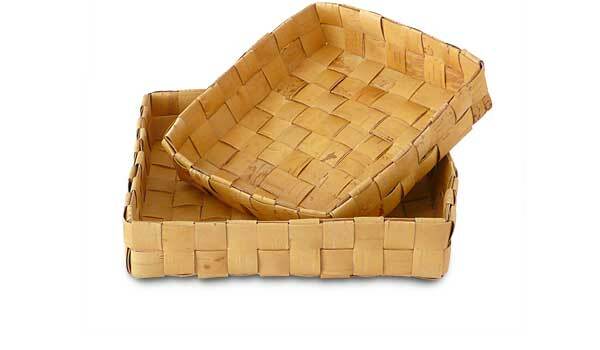 Birch baskets with rounded edges. In Scandinavia birch bark has been used as a construction material for roofs, shoes, boxes and baskets etc since pre-historic times. 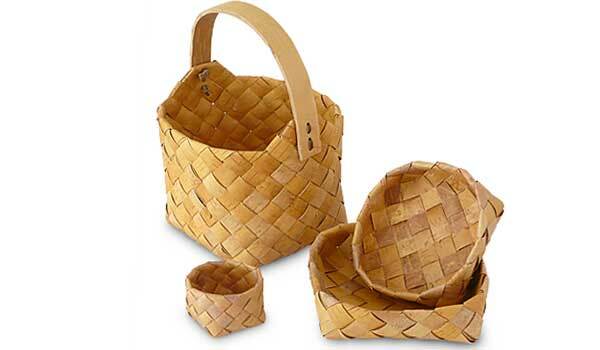 Today the birch bark is mainly used for handicrafts and arts.